Tales from the Real OC (Really! 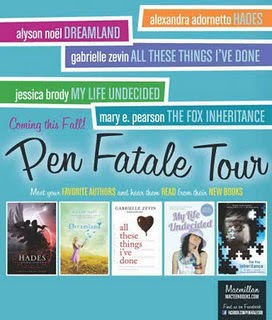 ): Pen Fatale Tour! I love your Immortals books sooooo much! I want to read all your books but dont know where to start! What is your favorite of the books you've writen other than Immortals? Anyway,I'm planning to see you in Naperville Illinois on the 4th:) Cant wait!